Welcome Spring with this Lovely Home Decor Set! 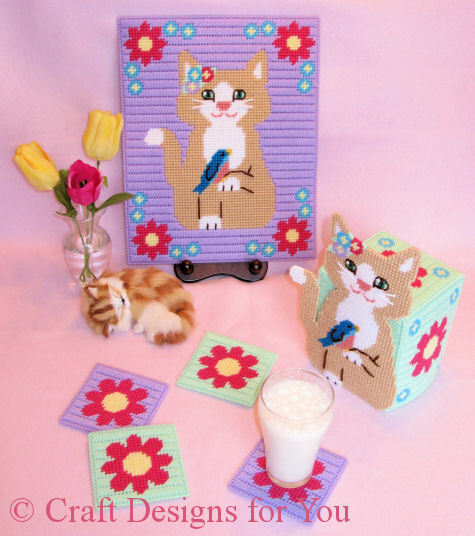 Features Beautiful Wall-Hanging, Tissue Topper and Flower Coasters with Kitty and her Bluebird Friend! Stitched on 7-count with 4-ply yarn.